Motor insurance premiums have continued to rise this year. A recent study by Consumer Intelligence shows that the average van insurance policy now costs £954, with best buy prices having risen by 9.7% in the year to April. Although van insurance premiums are rising at a slower rate than car insurance, drivers will still typically pay more for their van insurance than their car-driving counterparts. 1. Is your vehicle fitted with any anti-theft devices? Security measures (alarm, immobiliser, tracker, steering, gear stick or handbrake locks) can help to keep the cost of your insurance down so make sure to mention any that you have fitted, especially if you have changed anything in the last 12 months. 2. It sounds obvious, but make sure all your details are up-to-date. Even a move up the road to a slightly different postcode can have an impact on the cost. Get an up-to-date valuation of your vehicle which will not only give you peace of mind in the event of a claim, but will make sure you’re not overpaying on your premium. 3. In the same way, have you become a member of any professional or registered trade bodies or any affinity groups e.g. NICEIC / GasSafe? Some insurance brokers offer their members access to specialist schemes which will reduce the cost of your premium. 4. 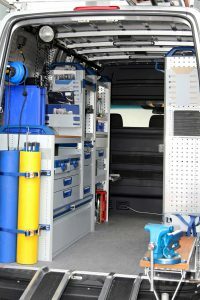 Is your van fitted with shelving/racking? Tradesmen are often surprised to learn that if you fit van racking, you can reduce your insurance costs. 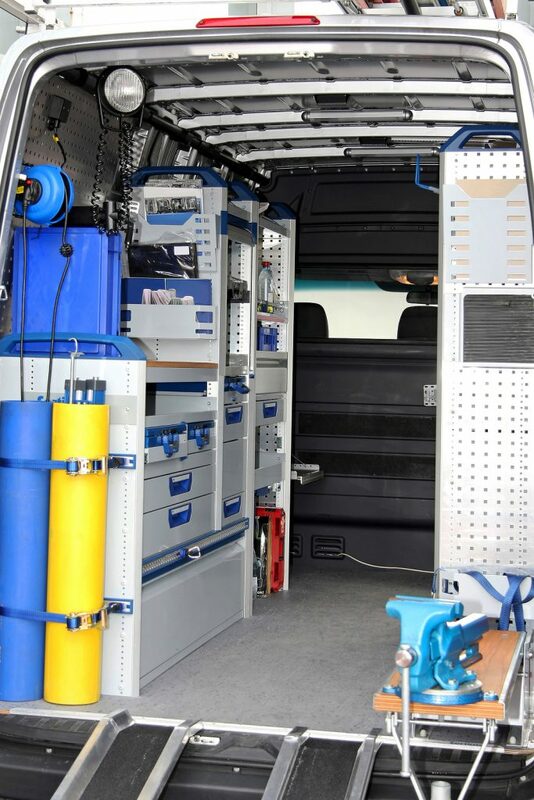 Having unsecured tools and equipment in the back of your van can be seen by insurance underwriters as higher risk so, conversely, fitting racking demonstrates improved safety and greater commitment to the care of the vehicle. 5. Are there named drivers on your policy? Naming drivers can attract better premiums. If your vehicle will be driven by other people, you must tell your insurer in any case. In some instances, this will help bring down the cost of your premium because you won’t be the only person driving the car and the associated risk is reduced. 6. Conversely, if you have opted for “any driver” cover and this is no longer needed, it is cheaper to name each individual driver that will be driving the vehicle. 7. If you are the sole main driver, can you include your spouse as a casual driver on the policy? Just be aware that you must still declare yourself as the main driver otherwise you can be at risk of “fronting” (when a driver chooses to cut the costs of another driver’s insurance by declaring themselves as the main driver in their place) and invalidate your insurance policy. 8. Have you been a named driver on another vehicle? If you don’t have your own NCD, some insurers will recognise and allow a discount for a proven claims free driving history as a named driver on, for example, your common law partner’s car. There will be exclusions, but it is worth mentioning when obtaining your quote. 9. Is your van garaged overnight? This will be the lowest risk option in terms of potential theft of your van. If not, is it on a driveway, private property or in a locked compound? The more details you can give your insurance provider of how your van is stored when not in use, the better chance they will have of finding you a good deal. 10. Has your mileage reduced since last year? Discounts can be made if your annual mileage has reduced so it is worth giving your insurer an up-to-date estimate. 11. Has the use of your vehicle changed? This can also have a sizeable impact on your insurance quote so make sure you let your provider know if there are any differences from last year. 12. Declare any no-claims bonus – whether for another company vehicle or for your own car. In addition, let your insurance company know if you have a higher level of no claims bonus on any other vehicles. If you have earned an NCB on another vehicle, you may be able to use it for your van. This is sometimes known as a “mirrored no claims discount”. This is not the same as transferring your NCB from one vehicle to another – with a mirrored NCB, you effectively enjoy the discount on both vehicles at the same time. There are restrictions on eligibility, but it is worth checking. 13. Does your vehicle have your business/contact details on the side? Statistically speaking, if it is easy to identify then it is less likely to be stolen. There is also a difference on how your van is sign written. Magnetic signage may be seen as less permanent than wrapped so let your insurance company know the full details when they get you a quote. 14. Do you pay in full or via instalments? You can save a % on the annual premium if you can afford to pay it in one lump sum as you won’t also have to pay the finance charge for spreading the cost. 15. Do you have an existing public liability policy in force? It might be worth mentioning this when you ask for a quote for any other insurance for your business as having it in place will reduce your overall risk profile and may have a beneficial effect on the cost of your premium. 16.� Has your business been established for over 2 years? Certain insurers look at a range of factors that would demonstrate whether you are a better risk or not. If your business has been established at least 2 years, you represent a better risk for the insurance from a business practice point of view and because you are showing stability. 17. If you have tools, do you remove them from your van overnight? 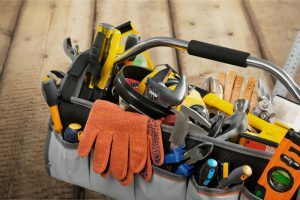 If not, you may need separate tools insurance and/or depending on what you use your van for, goods in transit insurance. 18. Do you use a broker who will research multiple insurers and their facilities, on your behalf? At A-Plan, you can speak to a van insurance specialist who will know the right questions to ask and can help you get the best deal possible for your vehicle without compromising on cover.